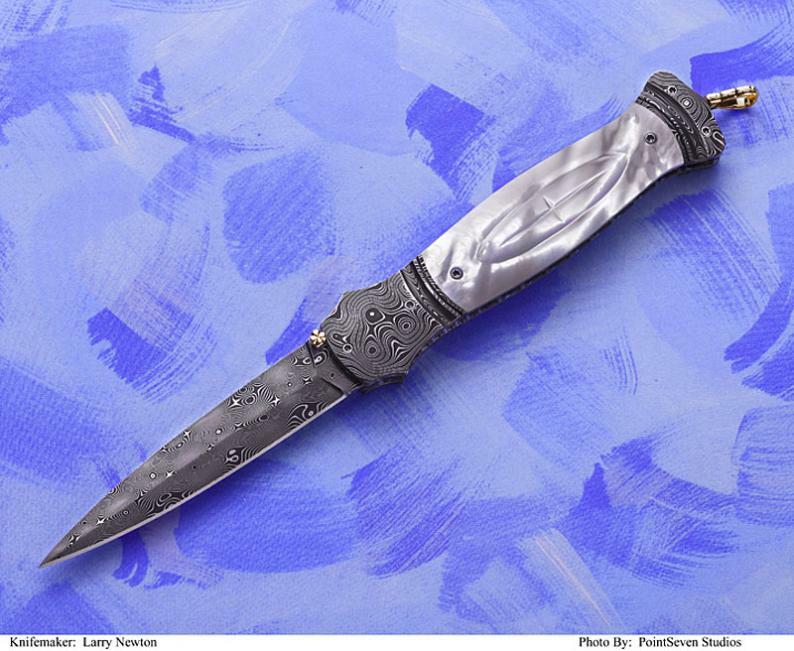 This is a beautiful carved white lip pearl damascus dagger. This model has 14kt gold thumbstuds and matching bail. The blade and interframe handles are etched and black lacquered.